3 Explore - By importing your surveys into KnowledgeHound, every survey question you've ever asked becomes instantly searchable. Unleash the power to find information to anyone in your organization! 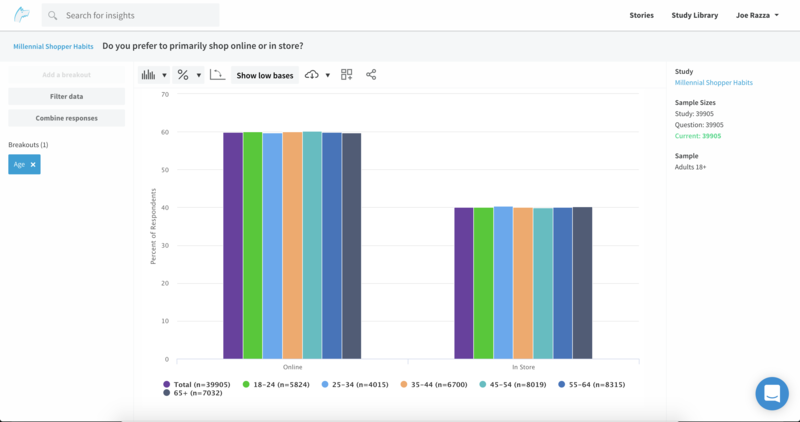 3 Transform - Analyze any survey question you find to build the exact chart and or table you need. 3 Inspire - Combine survey data from multiple sources to tell a compelling story. Identify trends, find new insights, or enhance your new study results with existing data. 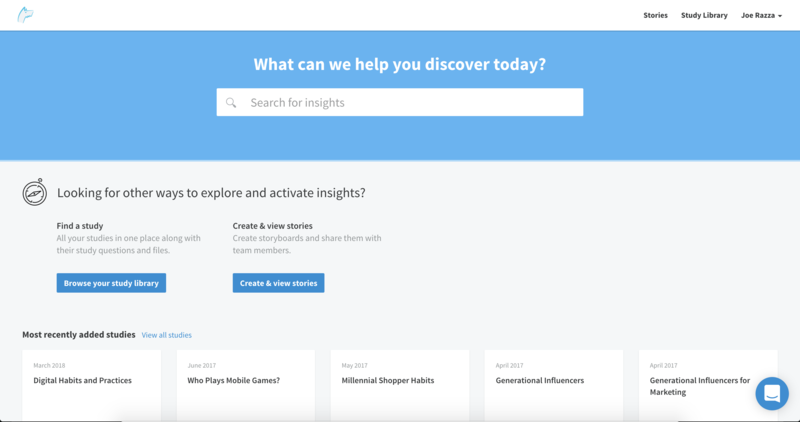 KnowledgeHound gives you the tools to easily share and present a story to inspire others in your organization to act. 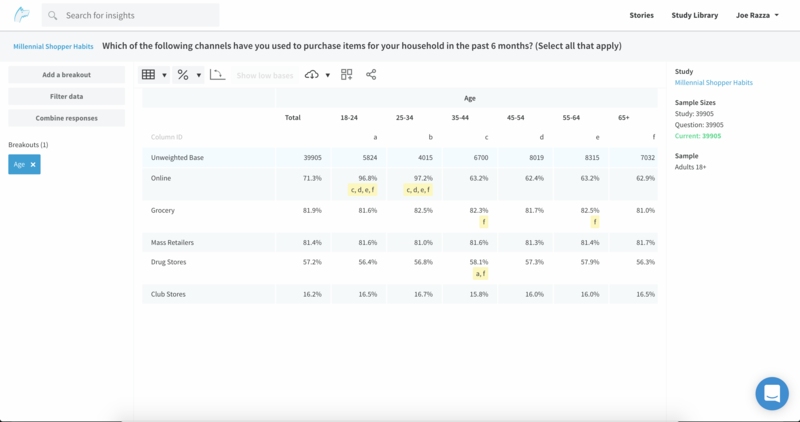 Turn your survey data into actionable insights for everyone to discover. All of your questions are organized so that a simple search query brings you back the full scope of data related to that search. Visualize your data and manipulate it to get a deeper understanding. Collect your findings in a story that you can share out to anyone in your organization. • Authorize KnowledgeHound to integrate with your SurveyMonkey account. • Select the studies you want to import. 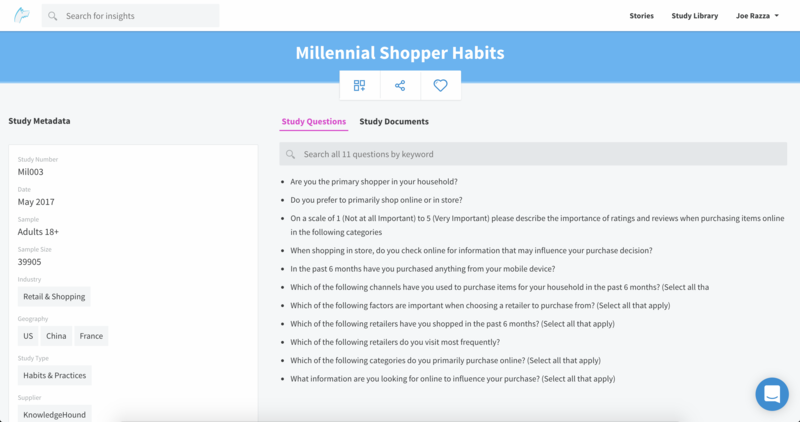 • Add any helpful meta data you want to each survey. • Start searching and visualizing your data. • Share your findings out.